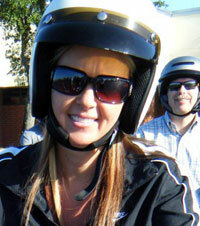 Helmet - Full-face and 3/4 helmets are acceptable provided that they meet minimum DOT certification. Personal helmets are subject to inspection for the DOT certification and that they are in good working condition. 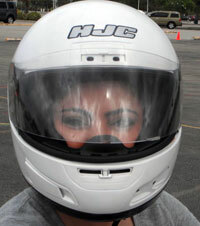 If do not have access to a DOT certified Full-face or 3/4 helmet most sites should have one to borrow for the course. Be sure to call your training site before the course, to check if they have helmets available if you need to borrow one. Do training locations provide riding gear? 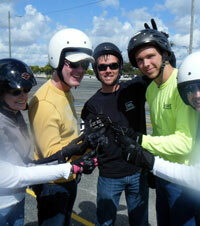 Training locations typically provide helmets and an assortment of gloves and safety glasses. Some training locations may have footwear, however there is no guarantee they will have your size. If you are not able to meet the riding gear requirements and are missing items other than those the training location may provide you, YOU WILL NOT BE PERMITTED TO RIDE! 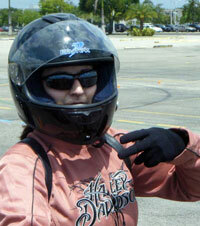 The basic riding gear requirements are for your protection in the learning environment. 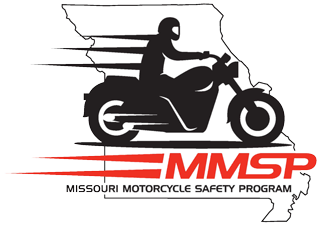 Helmet - Full-face and 3/4 helmets are acceptable provided that they meet minimum DOT certification. Personal helmets are subject to inspection for the DOT certification and that they are in good working condition.If do not have access to a DOT certified Full-face or 3/4 helmet most sites should have one to borrow for the course. Be sure to call your training site before the course, to check if they have helmets available if you need to borrow one.